Chino Skatepark aka. 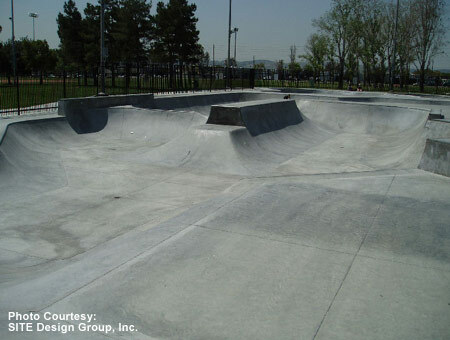 Ayala Skatepark, sports a 3 leaf clover bowl with pool and tile coping, a 9' square bowl, a huge, beefy flow section with banks and bowls from 4' to 7', and a nice banked street section. 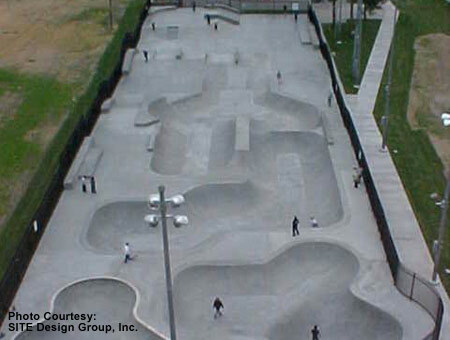 This is one of the sickest skateparks in Southern California. Site Design Group built this 27,624 sq. 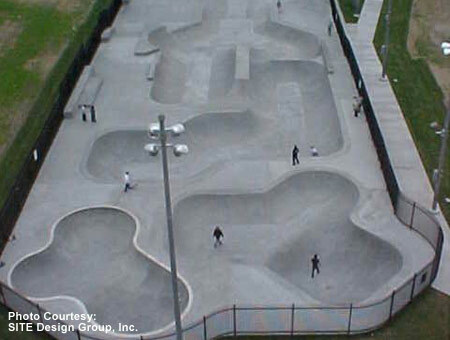 ft. concrete skatepark, which opened in December 2003. 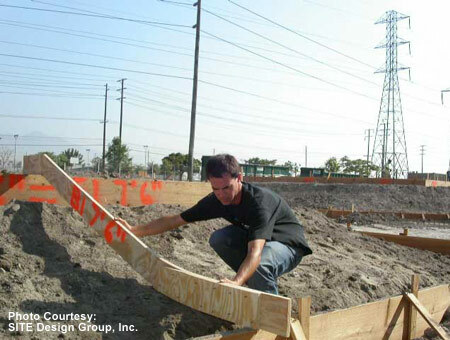 SITE Design Group has built many skateparks across the country and they know skateparks. This free, unsupervised, fully lit facility will bring hours and hours of skateboarding fun for locals and non-locals who travel to skate this awesome park. 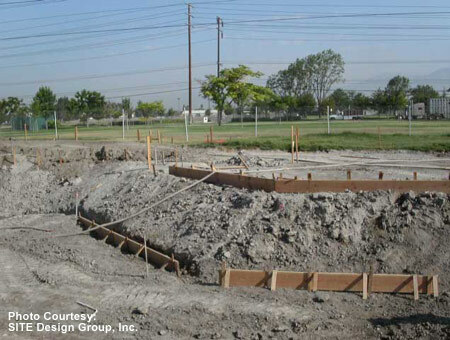 Chino Skatepark has terrain for skateboarders of all styles from street to vert to pool rider. This is a smooth and fast skatepark and is one of those free skateparks you'll want to keep coming back to. Helmet, knee pads, and elbow pads required. Many public skateparks require helmets and pads but you can probably get away without them at your own risk. Police are known to give out free tickets to violators.